The collar and leash, whatever the type, are meant to be tools of communication more so than tools of physical control…necessary only when the situation constitutes an emergency. This is why I am not a fan of “flexi” or “retractable” leashes. 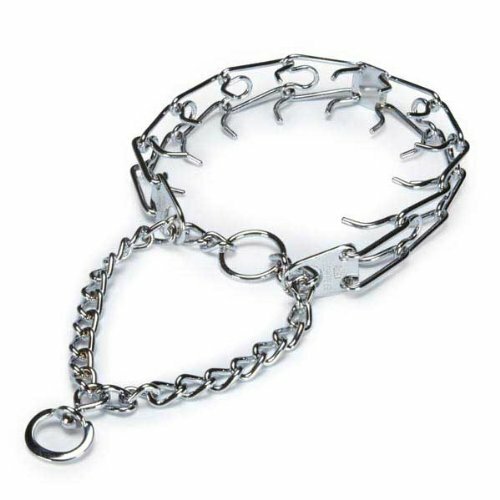 I am also not a fan of a lot of misconceptions about correction collars, particularly prong collars. Most people do not know the proper technique to use the leash and collar in terms of corrections and enhancing a dog’s desire to work as a pack member. If you haven’t already been trained to handle the leash as gently as possible (as opposed to locking up your arms and tightening the leash across your body and towards the dog) I highly recommend you take an appropriate class like one of the classes/lessons developed by Tanya @ Kazzi Dog Training. Go to the Contact Page to inquire about your opportunities to improve your leash handling skills. Below is Episode 10 of That Dog Training Show with Tanya Yarbrough regarding prong collars. (Some explicit language may be in content). I can’t tell you how many times my students and friends have marveled at one of my prized pet products, the soft crate. Ready for camping, using in the car, long road trips and visits to family & friends homes or even taking a picnic in a local park. If your dog is already crate trained, this is an excellent addition to your arsenal of adventure equipment for your dog. I emphasize to my students and clients that even my dogs in the past and current, although they are fairly well-behaved in the car and at new destinations, even the best of dogs can get TIRED! New stimulating environments can wear a dog down and you need to mercifully provide them with a break once in a while. Bingo, bringo the soft crate for instant respite! Granted, my soft crate isn’t crash-tested and there are some available…usually for small or medium-sized dogs. But for my German Shepherd, this brand works for the back of my cargo van, and if I need extra space in my van I can just flatten it and move it to the side. It is lightweight enough to carry it by it’s built in handle, while holding my dogs’ leashes from parking lot to dog beach where I can punch some stakes through the eyelets to secure it to the sand. It is also easy to clean, just hose and air dry. Another favorite feature is the fantastic ventilation with two side doors and the option of an open top. My first soft crate lasted 12 years…I only got rid of it because a bunch of dogs peed on it in classes. Bummer loss for a dog trainer! This is not a training crate! Make sure your dog loves their crate at home before you use this bad boy on the road. I’m telling you, without crate training and bringing that no-work zone for your dog makes going on the road, whether across country or across town, so much more enjoyable. Below is the one I use for my German Shepherd, but one size up at 42 inches! Check it out, look for similar products to make your choice, but I honestly like the quality of Noz2Noz Sof-Kraters.